which one are you a fan of? 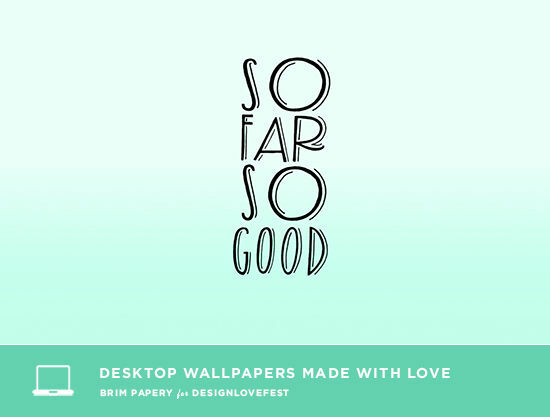 we just love this column and seeing people download them for their desktops! now the biggest obstacle is keeping our folders organized so we can show off the art. 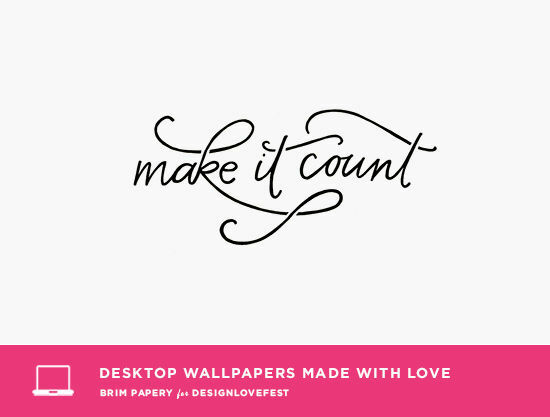 I really love the Make It Count wallpaper! I’m stuck on my current one though that I love. I had my boyfriend skip a rock on a lake and took multiple shots of one action. 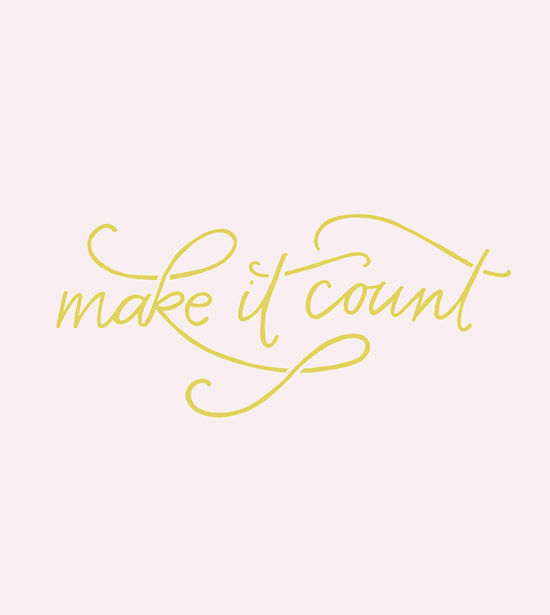 Each shot is a background on my MBP so it’s like a little GIF! Love it. Oh I love these thank you. It is a bit to large for my screen though, but I love the make it count color the best. 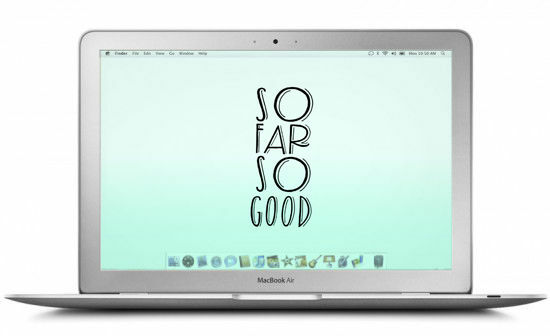 I always love simple designs on my laptop. I like other side of fear. So true. yay i love the desktop wallpaper series! i change my desktop wallpaper at work so constantly that my co-workers have begun to point it out… ha. 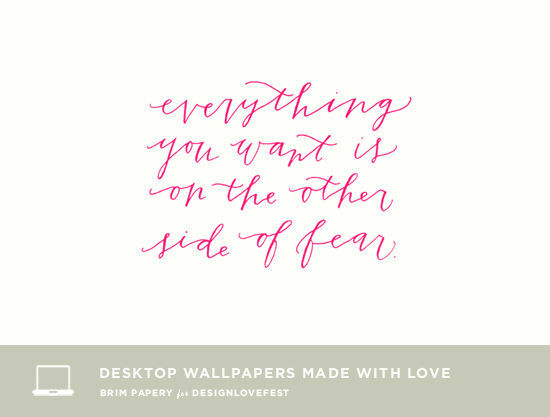 These are some of my favorite posts on Design Love Fest – thank you for sharing! 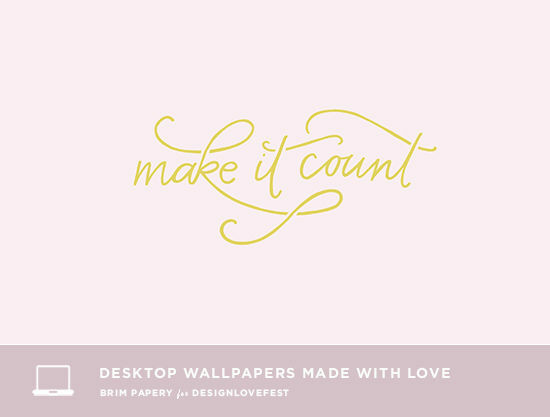 These wallpapers are so lovely. Thanks you so much dear. Thanks for these! I love this series. So Far So Good is my fave!